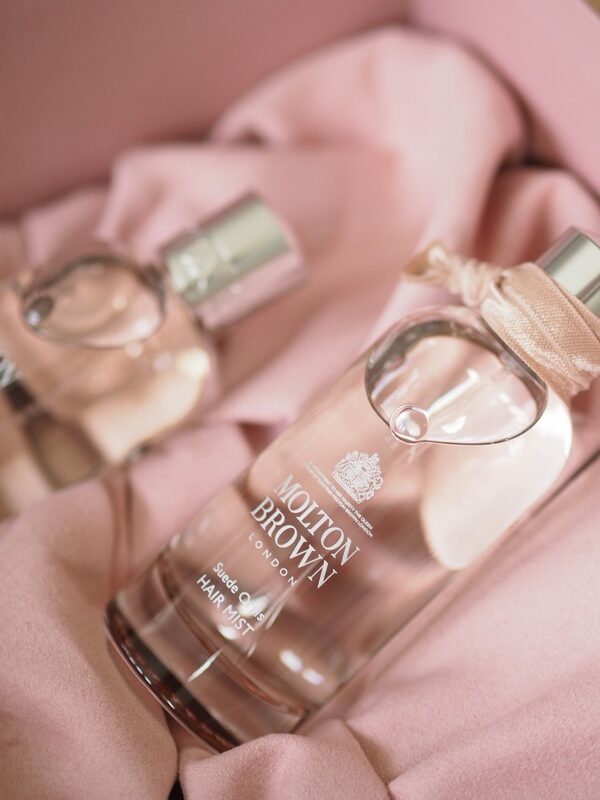 I don’t know about you, but I am a total sucker for a lovely bath and body product and Molton Brown are one of the best for a splash of luxury. 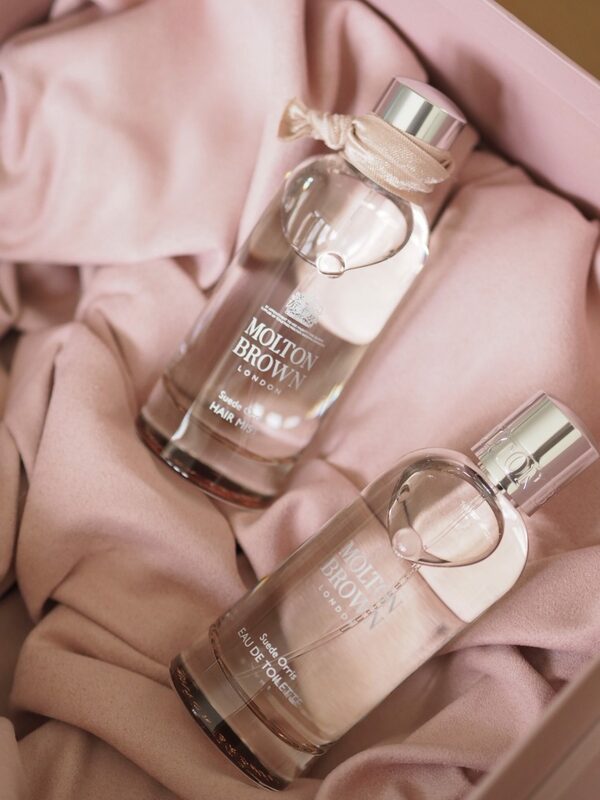 I have a particular soft spot for their Pink Pepperpod range, but for today I wanted to have a look at their newest launch – the Molton Brown Suede Orris Collection. 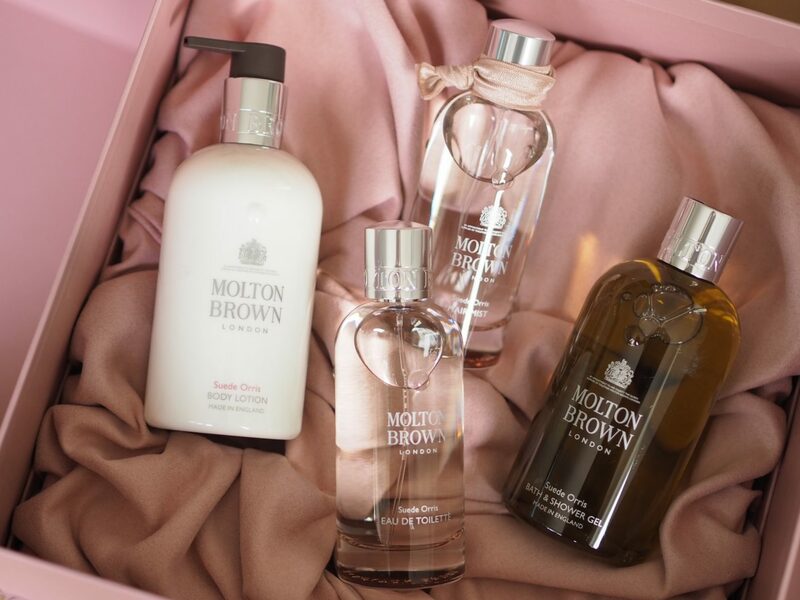 The Molton Brown Suede Orris Collection includes four products, the shower gel, body lotion, eau de toilette and a hair mist. The hair mist is definitely the twist in the collection for me as it’s definitely more of an ‘extra’ product than I would normally opt for. The Suede Orris fragrance itself is an interesting one – a blend of floral and powdery. The Tuscan Orris is apparently one of the rarest fragrance notes in the world – little fact for you (well, according to the BBC). It has top notes of mandarin, olibanum and elemi (the second two I just googled as never heard of before…) Olibanum is another name for Frankincense and elemi is a blend of resin and oil from a tropical tree… There you go, learn something new every day! The heart notes are the floral Tuscan Orris, Rose & Jasmin absolutes. Then the base notes bring in the powdery element with Cedarwood, labdanum & patchouli. It was created by perfumer Jerome Di Marino who wanted to create something traditional yet modern – it definitely crossed over the two. It has that headier, more traditional edge with the florals but then something softer that tones it down a bit. 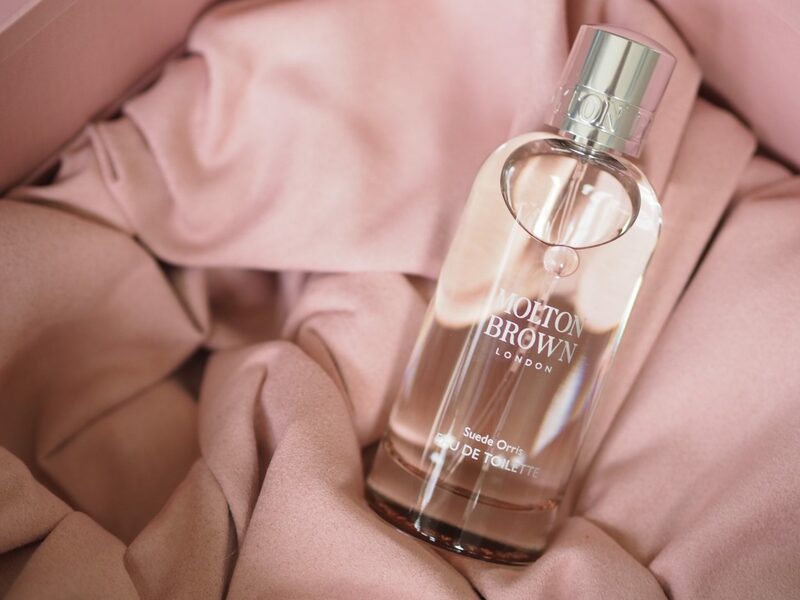 I would say that if you like Jo Malone Peony & Blush Suede or Tom Ford Santal Blush then this will be right up your street. It feels lady like rather than girly with the florals. Sort of like I should be wearing a midi skirt and heels when I put it on. Plus definitely carrying a neat sized handbag. 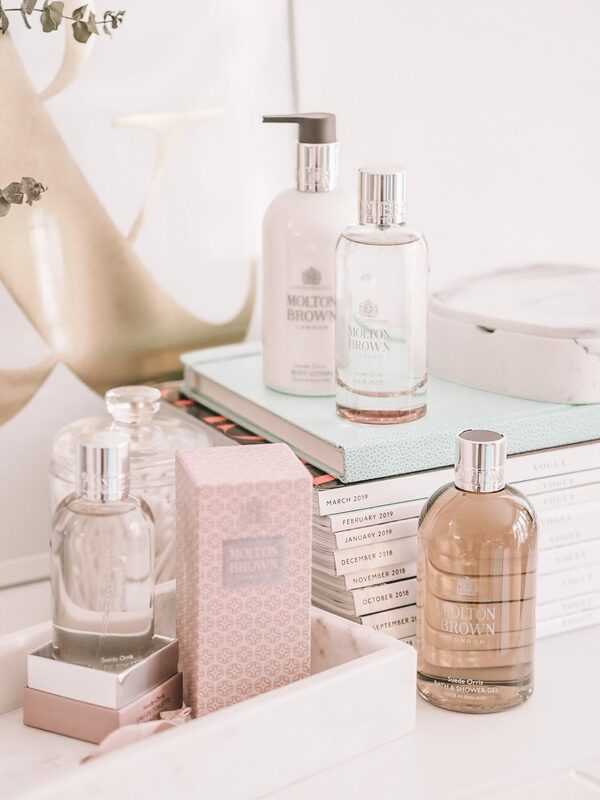 All in all, a gorgeous feminine but modern bath and body fragrance collection!